A street-legal vehicle on most public 35 mph roads, the LSV 800 opens a new world of working possibilities. 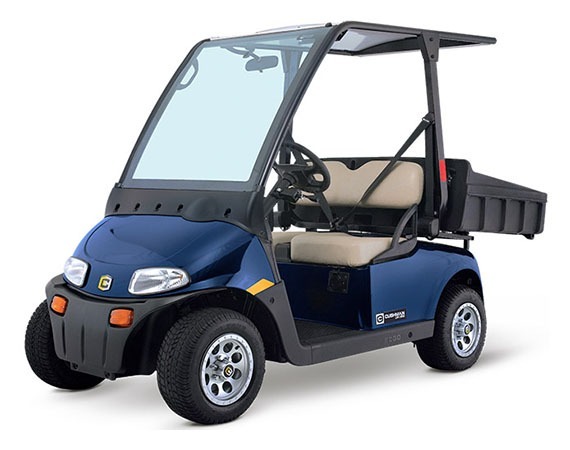 The LSV 800 features a top speed of 25 mph, getting you wherever you need to go faster than traditional utility vehicles. With an automotive glass windshield, three-point seatbelts and standard headlights, taillights and brake lights, you and your crew are equipped to arrive safely. 48V ELECTRIC DRIVETRAIN: Silent, zero-emissions power. 5.9-CU-FT CARGO BED: Bring along gear and supplies. AUTOMOTIVE WINDSHIELD: Protection built for on-road safety. 3-POINT SEATBELTS: Added security for your crew. HEADLIGHTS, TAILLIGHTS AND BRAKE LIGHTS: Ready to work early mornings and late nights.